I’m really excited to be doing a lot of public speaking this month. The last time I did a “proper” talk was back in April at the Inspire Women in Tech Nottingham conference. By proper talk, I mean at a meet-up or conference. I have since then, I’ve given presentations at interviews, work, University and beyond – I still consider these as talks, of course, because they have all given me the steps to be a better speaker… even if they are the smallest steps. My first talk, a year ago! 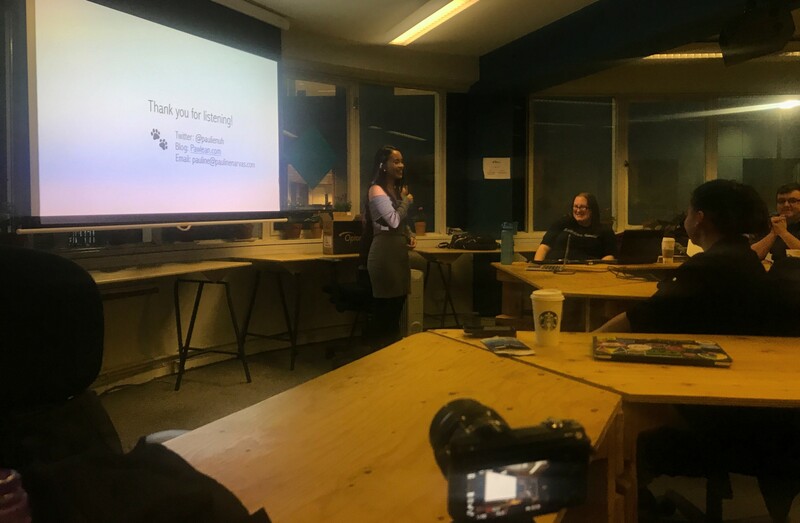 Late last month, I realized that it has been a whole year since I did my first solo talk at Sheffield Ruby User Group. I wanted to write this entry to celebrate this milestone! It was after that talk, that truly taught me that staying in the comfort zone provides no real growth benefit. 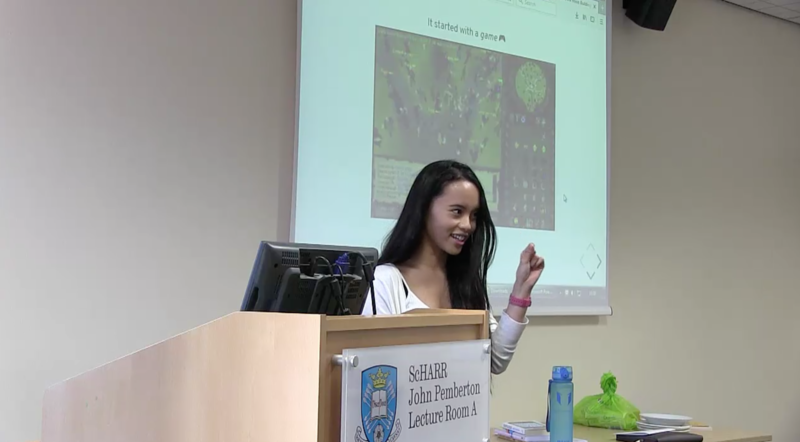 Sheffield Public School of Health – where I spoke to scientists and researchers alike about the benefits of communicating for impact through blogs and social media. It was terrifying talking in front of such knowledgeable people, but I’m glad that I did it! Inspire Women in Tech – where a little girl had come up to me after and said that she wanted to be like me when she grows up. Whenever I get bad imposter syndrome, I look back at this conference talk for motivation. 1. Being prepared is so important. For me, it has helped ease my anxiety of going up on stage because I know what I have practiced! Knowing your stuff is always better than being ill-prepared, not knowing your stuff and it being very obvious to other people. Try practicing to multiple people before you deliver your talk! 2. Be kind to yourself before, during and after. Have you heard how you talk to yourself? When someone first said this to me, I have since made sure that I am mindful of how I speak to myself. Because I have caught myself saying some horrible things about myself. We should always be our biggest fan and best friend (which means being real as well) I noticed that when I spoke to myself nicer before my talk, “Who are you? 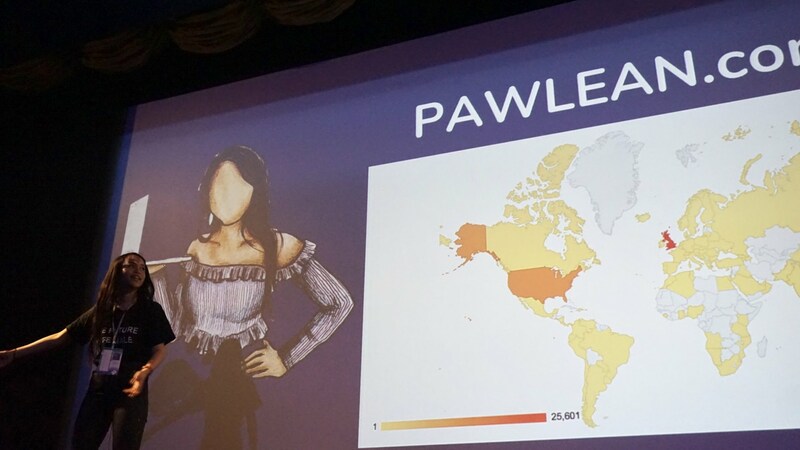 You’re Pawlean.” “You’re amazing with a brain full of knowledge and immense value to give.” I gave my best performance because my self-confidence takes over fear and doubt. So instead of talking yourself down and dooming yourself before you even get on stage, try being your biggest hype woman. It works, it’s my magic power. This applies to after the talk as well when you’re reflecting – focus on the things that went well and think of the “not gone wells” as a learning opportunity because it ALWAYS is. 3. Accept that some people will be on their phones. This used to throw me off – there have been some talks where I have had to stop mid-sentence because my panic would kick in as soon as I saw people pull out their phones. OK, your talk might be boring to some, but hey, focus on the talk and always assume they are tweeting. That has helped me so much! Remember about being your own hype woman? Bring another one with you in the audience so that if your own hype woman (i.e. yourself) fails, you have someone to cheer you on on the other side. 5. Find out what style works for you. What I learned worked for me was moving around, I enjoyed myself SO much more (it started feeling more and more like a HIIT workout haha, which is my specialty) Your comfort above all else. 6. Care so much, but also don’t care THAT much. It’s a balance, isn’t it? Caring so much allows you to prep and perform better. But also be mindful that at the end of the day, it’s just x minutes of your life so if you make a few mistakes that’s OK too. Trust me there will be other chances to do better – laugh it off and learn! 7. Ask for feedback afterwards. This is probably the most important one, make sure that after your talk, you follow up with the audience with constructive feedback. Each and every talk is a learning opportunity to keep getting better! What I’ve done in the past is film myself as I’m doing my talk (set up a tripod with a camera, get a friend to capture it or get an Instagram husband i.e. a Matt to do it), and then watch it back after, write notes on what you think you did well and what you can improve on for next time. For me, I started noticing from watching these videos back that I have SO much nervous energy so I tend to use my hands a lot (almost too much) as well as walk around. When it’s too much, it’s too much. But bringing that self-awareness is always the first step! 8. Enjoy yourself and celebrate. You’ve already committed to it, why not enjoy yourself in the process. It makes the whole thing much easier and fun! Also, after it’s all done make sure you celebrate because, hey ho, that was well outside your comfort zone and that is incredible. Thank you to everyone that has supported me on this journey, let’s keep getting better and better! Congratulations! A wonderful journey for you! And thank you for the tips! Thanks so much Cailin, I hope you found them useful! Great job! So amazing. It’s hard picturing myself giving a speech because I get so nervous. Good advice! Probably nothing I need to worry about, but some of it is just good life advice too! You’ve gone such a long way. I agree so much with you on that first item “preparing”. I did so well at school when I prepared my talks.. but when I had to improvise it was the worst for me.